Reports of Russian meddling insensed the Democrats and mainstream media talking heads. These are the same people who were outraged to learn in 2009 that a ‘foreign’ government’ hacked the Obama campaign. Remember? No? Neither do we. …Many may not recall, but the Obama campaign was actually hacked by a foreign actor. 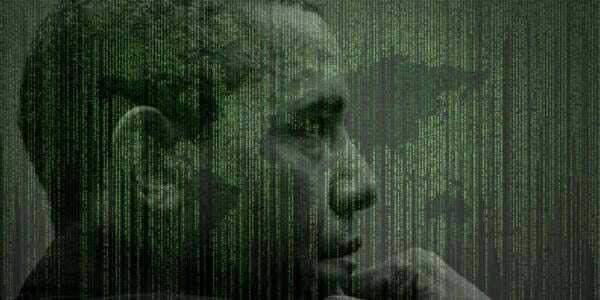 A foreign government (or multiple countries) hacked into the Obama campaign and stole troves of private information. President Obama confirmed the shocking news in a May 2009 cybersecurity speech. The former president did not attribute the attack to a particular country. However, later in the speech, he did call attention to Russia’s cyber sophistication, while leaving out any mention of China’s equally advanced cyber program. Yet the sitting president appeared uninterested in combating these emerging threats. Instead, he seemed more inclined to appease these nations. When it came to Russia, Obama was focused on promising “more flexibility” during his second term and presenting an actual reset button to the Kremlin. This week, NBC News reported U.S. intelligence agencies possessed “substantial evidence” that Russia “compromised” electoral systems in 7 states during the 2016 presidential election. NBC News also reported the Obama administration failed to notify the states about Russia’s hacking activities. NBC NEWS EXCLUSIVE: As of January 2017, U.S. intel had substantial evidence that 7 states had been "compromised" by Russia prior to or during the 2016 presidential election. Department of Homeland Security spokesperson, Tyler Q. Houlton, denied NBC News’ report. As we have consistently said, DHS has shared information with affected states in a timely manner, and we will continue to do so. We have no intelligence – new or old – that corroborates NBC’s reporting that state systems in 7 states were compromised by Russian government actors. We believe tonight’s story to be factually inaccurate and misleading. In fact, the formerly classified documents released to Mr. Moss & shown on NBC were working documents based on preliminary information & ongoing investigations, not confirmed and validated intelligence on Russian activities – in any case they do not show what NBC claims they do.
.@DHSgov has been clear and consistent that we are aware of 21 states targeted by Russian government cyber actors leading up to the 2016 election. In nearly all states, only preparatory activity like scanning was observed. We have said it before & will say it again: in no case is there any evidence that votes were changed or that Russian actors gained access to systems involved in vote tallying. Once again, reports using anonymous, outdated, & incomplete information are being misconstrued as fact. We stand by our state and local partners who are working diligently to secure the nation’s election infrastructure in 2018 and beyond.